President Donald Trump on Saturday said Secretary of Interior Ryan Zinke will be leaving the post by the end of December, ending a tenure that lasted nearly two years. In a morning tweet, Trump credited Zinke for “accomplishing much” during his time on the job. 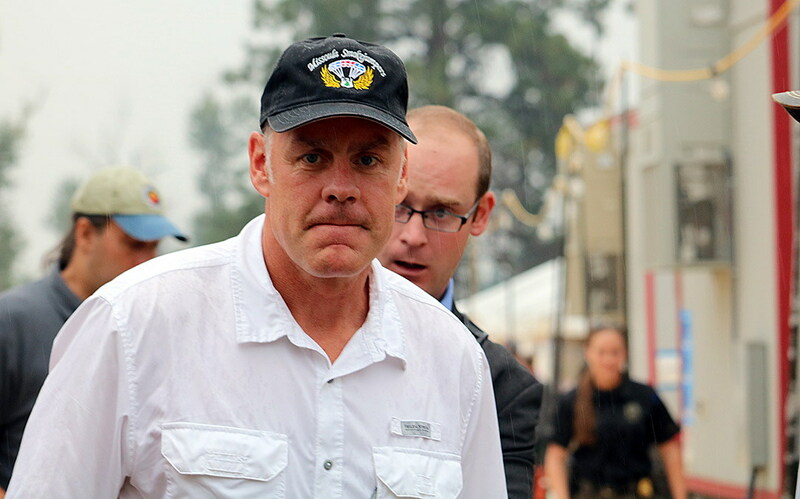 Even so, Zinke was embroiled in allegations of wrongdoing and environmental groups, including those in Montana, hailed his departure. Zinke said it was “an honor” working as secretary of Interior. Saturday’s announcement comes as Democrats prepare to take control of the U.S. House, gaining wide subpoena authority as a result. Zinke is facing as many as 20 federal investigations related to conflicts of interest, travel and political activity, according to The New York Times. But it was Zinke’s aggressive efforts to roll back environmental laws, expand oil and gas drilling and reducing National Monuments that most rankled his opponents. “Ryan Zinke came to the Interior Department with an ambitious vision for overseeing the nation’s great natural resources, but he ultimately broke his contract with the American people,” said Land Tawney, the CEO of Backcountry Hunters and Anglers in Montana. In taking the office, Zinke described himself as Roosevelt-style conservationist. He gained early support from Democrats and environmentalists, though support for the former Montana congressman quickly faded. Ted Brewer of the Montana Wilderness Association said Zinke leaves behind a troubling legacy. “He shrank and endangered national monuments, invited the oil and gas industry to seize and exploit some of our most cherished public lands in Montana, and stripped the public from having a say over the future of those lands, Brewer said. During his tenure, Zinke supported drilling in the pristine Arctic National Wildlife Refuge, and he led the largest reduction of national monuments in U.S. history, including the Bears Ears and Grand Staircase-Escalate national monuments. He also targeted a hard-fought collaborative plan for the management of greater sage grouse, all while seeking to open U.S. waters to offshore drilling. Opponents accused Zinke of cozying up to the fossil fuel industry. While Zinke did seek to expand the Badger-Two Medicine area in Montana, he also proposed a dramatic increase in entrance fees at nearly 20 of the nation’s most popular national parks, including Glacier and Yellowstone. The president said he would name a replacement this coming week.